Featherstone, Kevin (1990). "8. Political Parties and Democratic Consolidation in Greece". In Pridham, Geoffrey (ed.). Securing Democracy: Political Parties and Democratic Consolidation in Southern Europe. London: Routledge. pp. 179–202. French, D.M. (1973). "Migrations and 'Minyan' pottery in western Anatolia and the Aegean". In Crossland, R.A.; Birchall, Ann (eds.). Bronze Age Migrations in the Aegean. Park Ridge, NJ: Noyes Press. pp. 51–57. Olbrycht, Marek Jan (2011). "17. Macedonia and Persia". In Roisman, Joseph; Worthington, Ian (eds.). A Companion to Ancient Macedonia. John Wiley & Sons. pp. 342–370. ISBN 978-1-4443-5163-7. Pullen, Daniel (2008). "The Early Bronze Age in Greece". In Shelmerdine, Cynthia W. (ed.). The Cambridge Companion to the Aegean Bronze Age. Cambridge and New York: Cambridge University Press. pp. 19–46. ISBN 978-0-521-81444-7. Mycenae is an archaeological site near Mykines in Argolis, north-eastern Peloponnese, Greece. It is located about 120 kilometres south-west of Athens; 11 kilometres north of Argos; and 48 kilometres south of Corinth. The site is 19 kilometres inland from the Saronic Gulf and built upon a hill rising 900 feet above sea level. The Minoan Culture represents the first advanced civilization in Europe, left behind massive building complexes, tools, stunning artwork, ocean fairing ships and ship building technology, writing systems, and a massive network of trade, citing copper, fishing and archetecture as specialties. Heavily influencing early Greek culture and mythos in many neighboring peoples. Much of the information on this culture has been misrepresented in the works and suppositions of many scientific and theological interests. Leaving much of the definitive evidence out of place or context and the less provable aspects are more well known or accepted. Helladic chronology is a relative dating system used in archaeology and art history. It complements the Minoan chronology scheme devised by Sir Arthur Evans for the categorisation of Bronze Age artefacts from the Minoan civilization within a historical framework. Whereas Minoan chronology is specific to Crete, the cultural and geographical scope of Helladic chronology is mainland Greece during the same timespan (c.3200–c.1050). Similarly, a Cycladic chronology system is used for artifacts found in the Aegean islands. Archaeological evidence has shown that, broadly, civilisation developed concurrently across the whole region and so the three schemes complement each other chronologically. They are grouped together as "Aegean" in terms such as Aegean civilization. Sir Arthur Evans developed a relative dating scheme of Minoan chronology based on the excavations initiated and managed by him at the site of the ancient city of Knossos. He called the civilization that he discovered there Minoan. 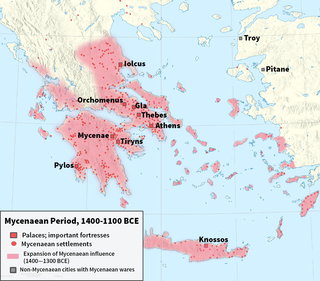 The same scheme was later applied to the Greek mainland and the Cyclades Islands to form a general plan for dating events of the prehistoric and early historic Aegean. The relative chronology is based on the shapes and decorative styles of Minoan pottery found at many sites on Crete and elsewhere. The European Bronze Age is characterized by bronze artifacts and the use of bronze implements. The regional Bronze Age succeeds the Neolithic. It starts with the Aegean Bronze Age in 3200 BC (succeeded by the Beaker culture), and spans the entire 2nd millennium BC in Northern Europe, lasting until c. 600 BC. 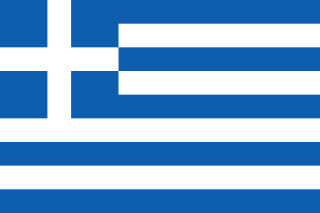 The economic history of the Greek World spans several millennia and encompasses many modern-day nation states. Various and currently outdated theories have been proposed that postulate waves of migration during the Middle Bronze Age in the Ancient Near East. While the turmoils that separate the Late Bronze Age from the Early Iron Age are well documented, theories of migration during the Middle Bronze Age have little direct support. 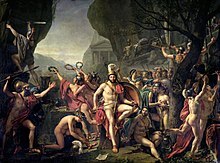 Some suggestions connect these alleged "mass migrations" with the coming of the Greeks, moving from their former settlements into the southern and central Balkans displacing the former pre-Greek inhabitants of Greece. Others make reference to a supposed migration of the Hittites to their earliest known home in Kültepe during the same period. Grave Circle A is a 16th-century BC royal cemetery situated to the south of the Lion Gate, the main entrance of the Bronze Age citadel of Mycenae in southern Greece. This burial complex was initially constructed outside the fortification walls of Mycenae, but was ultimately enclosed in the acropolis when the fortifications were extended during the 13th century BC. Grave Circle A and Grave Circle B, the latter found outside the walls of Mycenae, represent one of the major characteristics of the early phase of the Mycenaean civilization.